are bred indiscriminately, with an emphasis on quantity over quality. too sick to breed or sell, they are either killed or left to die. care, diseases spread rapidly amongst the overcrowded population. secretively and are often difﬁcult for authorities to ﬁnd. (CKC) or the American Kennel Club (AKC); a registered puppy is NOT always the sign of a reputable breeder. * Female dogs are forced to breed continuously with no concern for their health. around 5 - 6 years of age. in winter or cooling in summer. onto dogs in the cages below. * Many cannot walk normally or stand upright as they have been conﬁned to a small space their entire lives. get enough to eat and are dangerously underweight. untreated and they are forced to endure severe dental decay, infections, and illnesses without pain medication or proper medical care. Ever. * There is no health screening done on these dogs so illnesses are bred into their puppies. dogs ending up in rescue. *Some Backyard Breeders are similar to Puppy Mills in that they produce puppies in overcrowded and unhealthy living conditions. Others may keep their dogs in the family home. 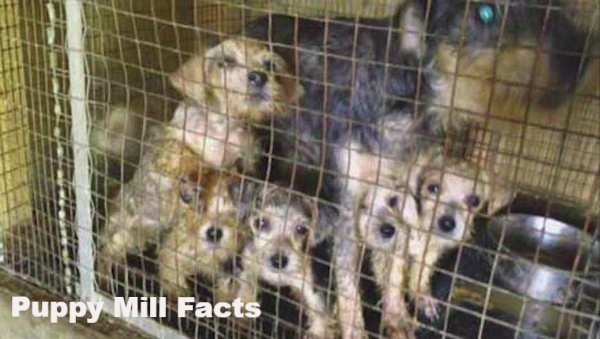 Often they add the term ‘Farms’ or ‘Kennels’ to their name, just as Puppy Mills do. It is common for BYB's to have "accidental" litters because they have not spayed or neutered their dog(s). As a result, their pet is susceptible to life threatening conditions like testicular and mammary tumors and the often fatal uterine infection Pyometra. *These breeders are not knowledgeable about possible health or temperament issues that may surface as the puppies age, and these problems can be both serious and costly. *Often these BYBs don’t consider where the puppies will be placed or even if there is a demand for them. *Their motivations for breeding may vary. They can make ‘easy money’. They mistakenly think a dog should have at least one litter. Or they love their family pet and think others would like to have a puppy from their dog. No reputable breeder will sell a dog or puppy in this way! * Usually take payment in cash or PayPal only. No cheques or credit cards. * Seller has many mixed or cross breeds: i.e. * Seller offers to deliver the puppies to a remote location such as a parking lot, or deliver them to your home. * Puppies may be sold via a ‘broker’ - a ‘middleman’ who buys the puppies directly from the breeder at a low cost, then marks up the price and resells to potential owners and pet stores. In Nova Scotia, we have a famous example. * There is no contract to sign and no expectations that you will provide suitable care of the puppy. * No ‘Certiﬁcate of Health’ signed by a licensed veterinarian is provided. It is the law in Nova Scotia that all animals sold in the province have this certiﬁcate. It is valid for 6 months. Please DO NOT purchase a puppy from these sources. Rescue organizations are ﬁlled with loving dogs and puppies looking for homes. Many are ‘purebred’. Or, you can choose a reputable and knowledgeable breeder who produces healthy puppies and offers ongoing support. Backyard Breeders will not be there for you or your dog in the likelihood that problems arise. 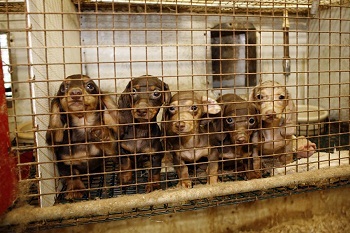 If you want more information, No Puppy Mills Canada is excellent resource. If you are considering adding a puppy or dog to your family, here is a great site that helps you to distinguish between a Reputable breeder and a Backyard Breeder. There is also this checklist to help you when purchasing a puppy. 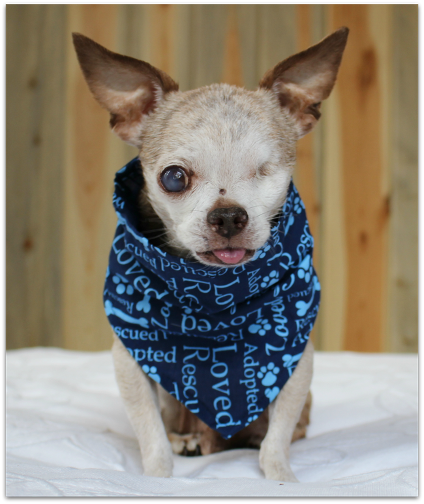 And finally a tribute to our inspiring partner, "Harley's Dream" to end Puppy Mills. Please take a moment to read the moving story of how this little dog survived the horrors of a Mill and became the heroic face of hope for the hundreds of thousands of unfortunate dogs still living in the torment of Puppy Mills.